Chinese members, Hannational Shipping have recently handled the transport of a dismantled Konecranes reach stacker. The cargo consisted of the main unit weighing 36tns and measuring 8.0 x 4.2 x 3.9m, the boom weighing 16tns and measuring 11.0 x 2.0 x 1.9m and other smaller parts. 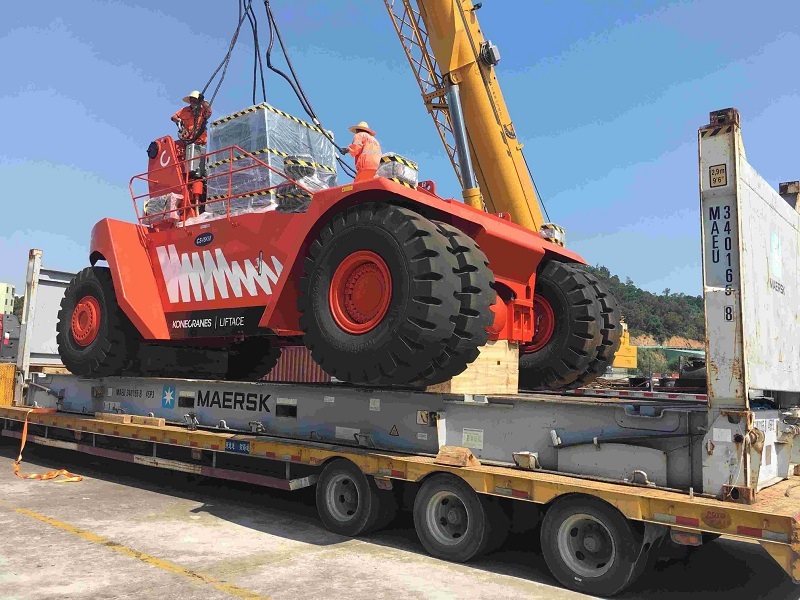 The pieces were picked up by Hannational in Zhangzhou in China and delivered to an open yard near the terminal in Xiamen where the cargo was craned, stuffed, lashed and secured into 2 x 40′ FR and 1 x 40′ HQ. The laden containers were then moved to Xiamen Port for shipping by carrier to Jebel Ali in the UAE.